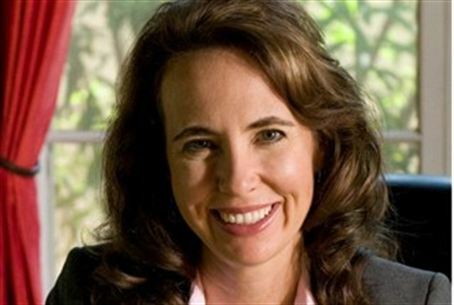 Assassination target Gabrielle Giffords is now breathing on her own, 9 years after she visited Israel & wrote that “Land for Peace” was a failure. Assassination target Rep. Gabrielle Giffords now is breathing on her own, defying almost all odds after Saturday’s shooting attack that killed six. "I'm happy to say she's holding her own," neurosurgeon G. Michael Lemole Jr. said, adding that Rep. Giffords, 40, can breathe on her own without a breathing tube. Her medical team prefers to use the tube in order to prevent infection. Jared Lee Loughner aimed at her in front of a Safeway supermarket Saturday, when she was hosting a community meeting. After shooting at her, he continued on a shooting spree, emptying out a cartridge of 30 bullets, and killing her Jewish aide, a nine-year-old girl, a federal judge and three others. Fourteen people, including the Congresswoman, were wounded before Loughner was wrestled to the ground and then arrested. Rep. Giffords, whose grandfather was a rabbi, was drawn to her Jewish roots after her first trip to Israel, organized by the American Jewish Committee (AJC), in early 2002, shortly after the 9/11 terrorist attacks in the United States. She strongly identifies with Judaism, and although she was raised by a Jewish father, her being born to a mother who was a Christian Scientist mother means she is not Jewish according to Jewish law. Her understanding of Israel and the failure of the “peace process” were clear in her account of her trip after she returned to her home state of Arizona. Her visit was during the Second Intifada, also known as the Oslo War, which Yasser Arafat launched after turning down an offer from then Prime Minister Ehud Barak for almost all of the areas of Jerusalem, Judea and Samaria that were returned to Israel in the Six-Day War in 1967. After praising Israel’s security at the airport and contrasting it with the lack “of thoroughness or seriousness” she experienced at the JFK airport n New York, she wrote, “After touring Israel and meeting with high-ranking political and military figures, it became clear that the so-called Peace Process has shattered into fragments of bitterness and mistrust. What began in 1947 as a United Nations effort to placate Jews and Arabs by partitioning mandatory Palestine into separate Jewish and Arab states, has devolved into a situation of armed camps in which neither side trusts the other. “The process started going wrong when the Arabs rejected the plan which the Jews accepted leading to the inevitable uprooting of hundreds of thousands of Palestinians displaced from their homes into refugee camps as Arab neighbors took up arms to enforce their rejection of the 1947 UN Partition Plan. Those same camps fueled the 1967 Six-Day war and all the subsequent conflict. Rep. Giffords also lamented Arafat’s rejection of co-existence with Israel. “Now Israeli tanks and Palestinian suicide bombers exchange bullets and death, the U.S. is at war with an international terrorist network that demands Arab supremacy over Jerusalem and the rest of the Middle East, and neighbors cower behind walls, barbed wire and never-abating worries of new attacks,” she wrote in her report.